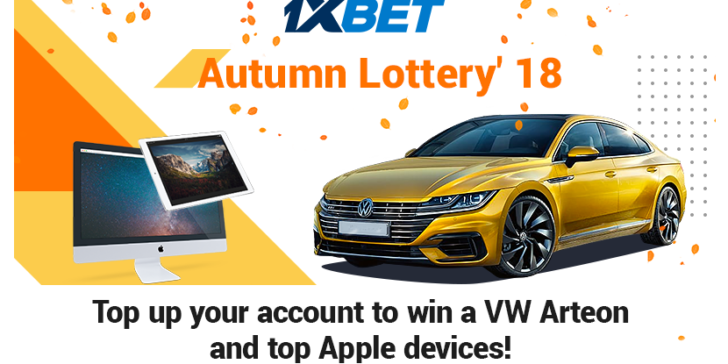 €7 Deposit at 1xBET Casino Lets You win a Volkswagen Arteon 2018! Win a Volkswagen Arteon in 2018! Start playing at 1xBET Casino today if you want to win a Volkswagen Arteon by the end of this year. Have you even bought a car for €7? If you have, please send me contact details, but I don’t think you have. Please note: I’m not saying you will win a Volkswagen Arteon for €7. I’m saying you can. But you have to see one thing: the more you deposit at 1xBET Casino, the bigger your chances are! How to win a sports car in 2018? As mentioned above, by depositing. Of course you can just sign up for a new account if you still don’t have one. After that, you can get entry tickets – 1 for a €7 deposit but the more you deposit, the more points you get. And hence the better your chances are. Win a Volkswagen Arteon on 14 November, or win the 2nd or 3rd prizes: an iMac Pro or an iPad Pro. Don’t forget to click on the latest review about 1xBET Casino either! Check out the latest online casino promotions in Singapore! To learn more about the best Online Casino Sites in Singapore, have a look at the Online Casino Reviews section.